Part of a national chain Greggs is a bakers shop that sells freshly baked bread as well as cakes, muffins, bicuits, sandwiches, rolls, pies and pasties as well as teas and coffees to take away. 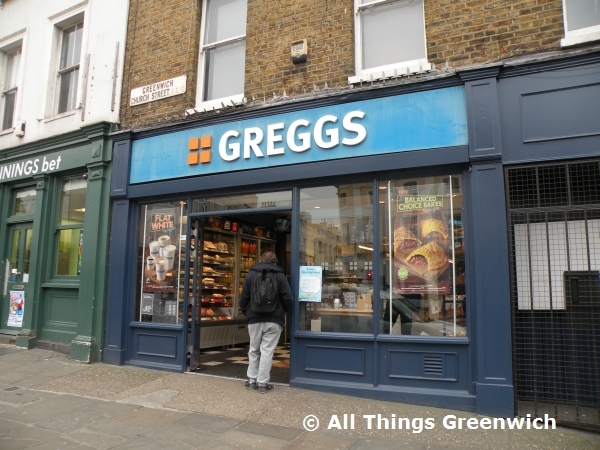 Greggs is located on Greenwich Church Street. View its location on the Greenwich Church Street retail map diagram. Find your way to Greggs by public transport with Transport For London's Journey Planner.